The University of Wisconsin-Superior was a mess last June. After 8 inches of rainfall in a 24-hour period, the city’s storm water system was inundated and therefore unable to prevent water from rushing into basements all over town. The university’s basement was flooded with almost 9 feet of water! Librarians at UWS were horrified to find more than 133,000 flood damaged books. The following is a look at how libraries can avoid this dreadful situation, as well as how damaged books may be restored. The University of Wisconsin-Superior’s flooding was made worse by the fact that the school’s heating plant was flooded with 32 feet of water. The heating system was so overwhelmed that it effectively acted as an irrigation system, delivering water to basements all over campus. 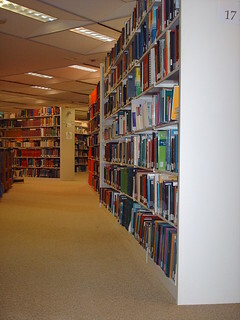 The majority of the library’s collection – around 150,000 books – was stored in the basement. Of those, around 130,000 books were submerged and seriously damaged. (The other 20,000 titles in the library were on the top shelf and therefore avoided the worst of the flooding.) Of the flood damaged books, around 44,000 were deemed damaged beyond repair and were recycled. The library must now reorder the core of its collection while document restoration is carried out on the 91,000 books that were salvageable. Water flows downhill, so it’s logical that storing books on higher stories would protect them against flooding. 2. Prioritize and insure most valuable books. 3. Catalogue books with a restoration specialist. Document restoration firms are used to stepping in after a disaster has occurred. However, time and time again we see that the best restoration outcomes occur when institutions have done some preparatory legwork before calamity strikes. We recommend, for instance, that libraries, schools and other archives catalogue their books with us through our Rapid Response Program. Participating in the Rapid Response Program expedites the restoration process and allows us to tackle the most important items first. We can also create a better plan of attack when we have your collection on files prior to an emergency. Finally, libraries and other intuitions that participate in our Rapid Response Program are given first priority when flooding or other disasters occur. Even if flooding should occur and you find yourself with thousands of flood damaged books on your hands, there’s still hope. Document restoration technology permits even waterlogged books to be restored. For instance, vacuum-freeze drying is an incredibly effective method for removing water from damaged books – this is the route the University of Wisconsin-Madison took with its 91,000 salvageable books. At Polygon, we use state-of-the-art vacuum-freeze drying technology to safely restore large volumes of flood damaged books.